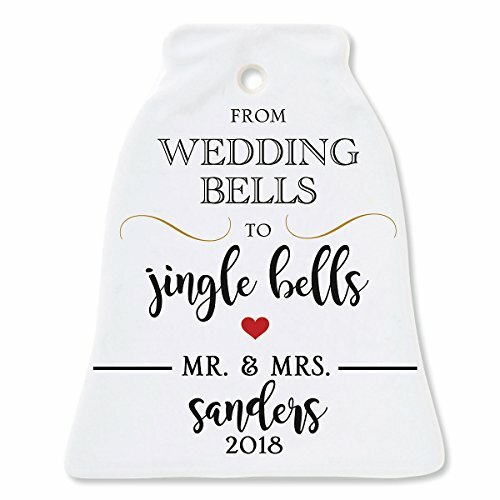 Lillian Vernon exclusive Wedding Bells Personalized Ornament. The important things in life, simply stated on this white ceramic ornament by Beverly Hills calligrapher Jillian Yee-Pham. Includes gold ribbon for hanging. Size 2 1/2" x 3". Specify name up to 18 characters and 4-digit year (personalization may vary).